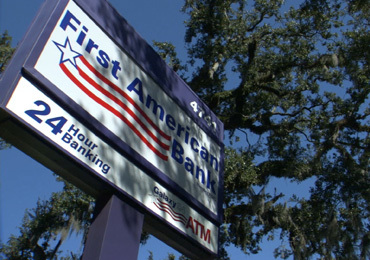 First American Bank has a wide array of services to meet your every banking need. Whether it’s a daily, weekly or monthly necessity, we know how important your checking account is to your financial peace-of-mind. From no-fee Free Checking to interest-earning Platinum Checking, we have a checking account that will meet your needs. You will find our rates competitive and our service unmatched! When you sign up for e-statements, you will enjoy no fees, no minimum balance requirements and no charge for your debit card. Still want paper statements? Then Value Checking is an easy account with no minimum balance requirements. This account is perfect if your record keeping is made easier with imaged statements of your checks. By maintaining a low balance, those are free with this account. Looking to earn interest on your account? Platinum Checking is the account for you! Plus, receive free check images as well. Open an Account Open your new checking account online today and save time! See the comparison list below for more details on all of our checking accounts. For current rate information and Annual Percentage Yield on any accounts, please call 1-800-738-2265 or (225) 265-2265.